Whether you're hosting a casual outdoor brunch or an elegant indoor dinner, many Easter festivities take place around the table. Bring in the elements of spring to your table with decor that has maximum impact while requiring minimal effort so you can focus on what really matters: Family, friends and tradition. 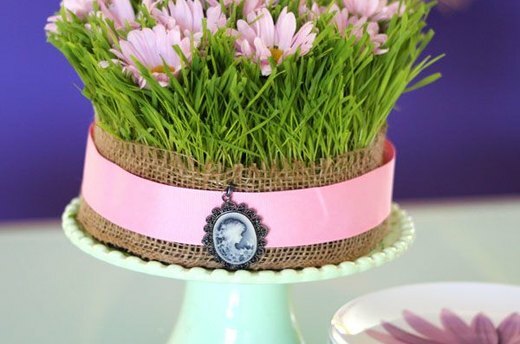 We've got 10 surprisingly simple table decorating ideas guaranteed to impress. Brighten up your brunch with a floral arrangement that celebrates the sunny days of the season. 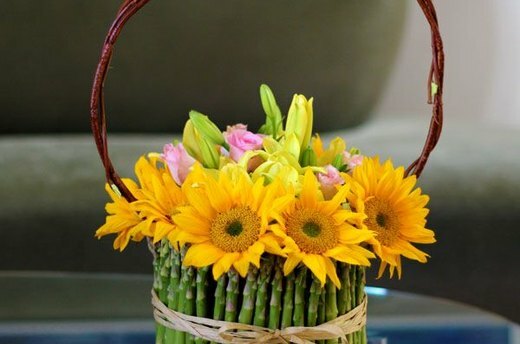 Create this stunning centerpiece by arranging cheerful flowers in a faux basket comprised of a glass vase lined with asparagus and topped with a rustic willow handle. 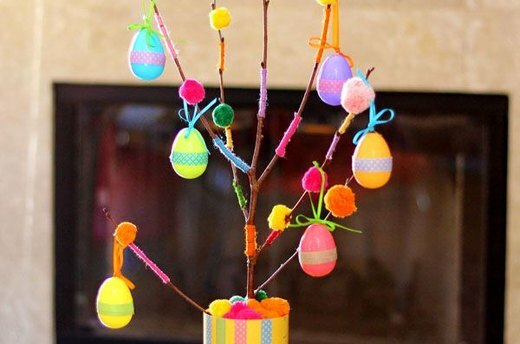 A whimsical egg tree is a project that the whole family can make together. Colorful yarn and pom pom adornments dress up rustic twigs and elevate plastic Easter eggs to create a centerpiece that's worthy of a spot on your brunch table. 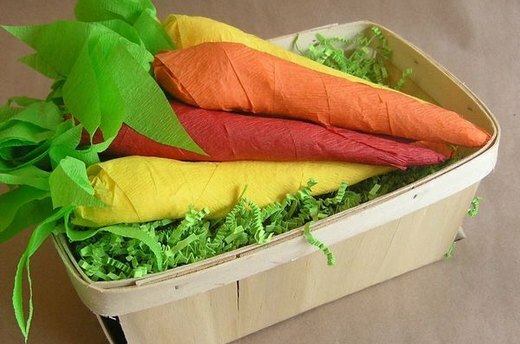 Colorful crepe carrots not only add decorative appeal, but they also hide sweet treats for kids to unravel on Easter. (Seriously--children will flip out over these!) To create these jumbo carrots, all you need are crepe party streamers and a handful of goodies. Wow your guests with on-trend and easy-to-make chalkboard Easter egg place cards. Simply paint wooden eggs in pastel shades of chalkboard paint to create place cards that double as party favors. Bring the bounty of spring to the table with a centerpiece that showcases the natural beauty of wheatgrass. We think that this creation would definitely get two "thumps" up from the Easter Bunny. Use the elements of the season to add some extra charm to your table. 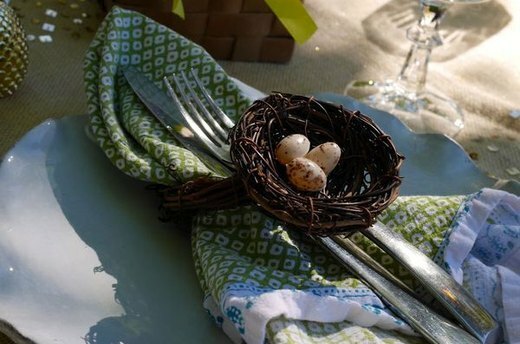 Make festive nest napkin rings using grapevine crafting nests, grapevine rings, floral wire and small decorative eggs. There are many reasons why we love Easter, but let's be honest--what we really look forward to is eating candy. Lots and lots of candy. So why not showcase your favorite sweets by filling glass jars with pretty pastel candies and chocolate bunnies. Let's see how long they'll last on the table! 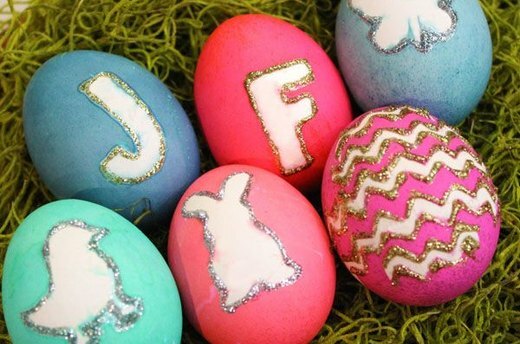 Upgrade your egg decorating with monograms and silhouettes. With a little creativity and vinyl stencils, you can transform plain white eggs into extraordinary Easter decor. Place these in a bowl or arrange artfully across your table. When you want to decorate eggs but aren't a fan of those messy dyes, decoupage is for you. Customize your designs with lovely images and embellishments that will add an air of sophistication to your celebration. Sports fans will freak out over eggs that look like soccer balls, footballs, baseballs and basketballs. 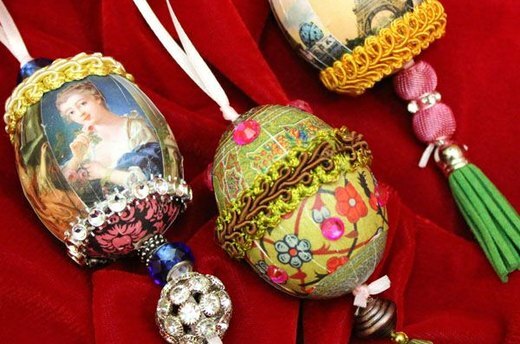 Instead of various dyes, these eggs are decorated with acrylic paint, permanent marker, adhesive paper and craft vinyl. They're sure to be a big hit at the kids table.